technology is a means of uncertainly reduction that is made possible by the cause-effect relationship upon which the technology is based. 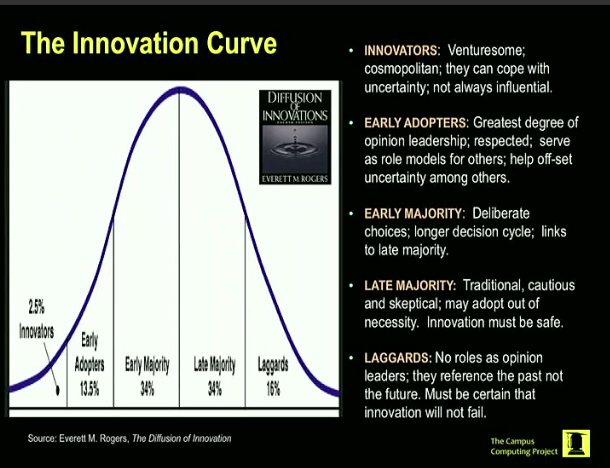 technology innovation creates a kind of uncertainty in the minds of potential adopters as well as represent an opportunity for reduced uncertainty. 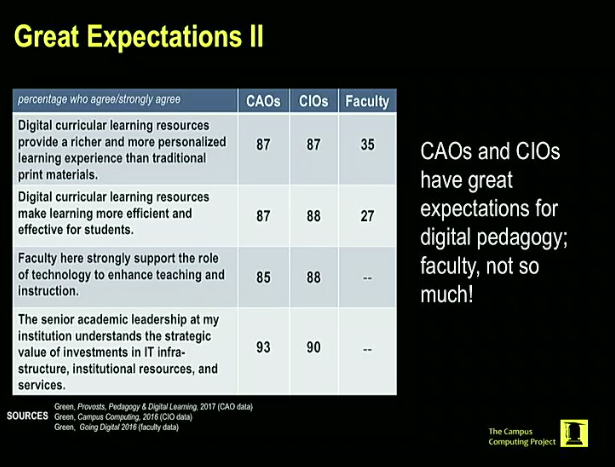 How do we make Digital Learning compelling and safe for the faculty? provide evidence of impact, support, recognition and reward for faculty; communicate about effectiveness of and need for IT resources. technology is not capital cost, it is operational cost. reoccurring. underlying issues; can i do this? why should i do this? evidence of benefit? the more things change, the more things stay the same. new equilibrium. Casey’s most recent TO A DEGREE podcasts are available now: Presidential Leadership in Challenging Times and Online’s Bottom Line. Hope to see some of you online and please forward this invitation to anyone who might be interested.